Most big new projects start with a request for proposal (RFP) where you clearly define the technology and service you are looking for. Unfortunately, an incomplete RFP means that you will get very varied proposals and then have to select a vendor by comparing apples with oranges. 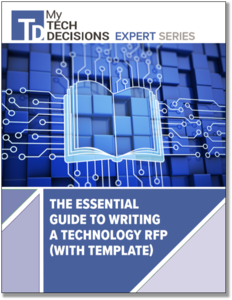 Download your copy today for a sneak peek at the content our experts think you should be sure to include when writing your next RFP.